It’s always fun to change things up and do new things, so from time to time on an ongoing basis I will be interviewing prominent photographers and folks involved with publishing on my blog. I’m pleased and honored to present as my second interview a discussion with QT Luong. QT Luong [“Tuan”] is the photographer and creator of the bestselling and award-winning book Treasured Lands: A Photographic Odyssey Through America’s National Parks. Treasured Lands is visual tour of all 59 US National Parks in a coffee-table book, with location notes for each photograph. It is the winner of six national book awards, including the Independent Publisher Book Award (“Coffee Table Books Gold Medal”) and the IBPA Benjamin Franklin Award (“Arts and Photography Gold Medal”). According to the New York Times, “No one has captured the vast beauty of America’s landscape as comprehensively.” To learn more about QT Luong and his work, check out his website. Tuan came to visit me in Berkeley a few weeks ago; hence, the interview and discussion that follows. Harold Davis: Please tell me about your Treasured Lands project. QT Luong: The Treasured Lands project started with the goal to photograph each of the U.S. national parks in large format, and evolved into an attempt to create the most complete photographic record of them by a single person. For each park, I visited all of its significant areas and traveled deep into the wilderness. I returned in different seasons, resulting in more than 300 park visits over the course of almost a quarter-century. HD: Wow! What got you started with Treasured Lands? QTL: In the winter of 1993, I visited Yosemite. In the spring of the same year, I headed to Alaska to climb Denali. The sheer scale and pristine beauty of the north far exceeded anything I had witnessed in the mountains of Europe. In the fall, I toured Death Valley. After standing on the highest point of North America, I was now looking at its lowest. I had never seen such wide-open spaces and deserts before, and the geological surprises concealed within this arid land mesmerized me. I realized how much diversity the national parks encompass—they present every ecosystem a vast continent has to offer, and it was all new to me. Each park represents a unique environment, yet collectively they are all are interrelated, interconnected like a giant jigsaw puzzle. I wanted to exhaust every opportunity to experience that natural diversity, and I wanted to share it with others. This, combined with my realization of the descriptive power of large format photography inspired me to embark on a project that I thought was both original and compelling: photograph each of America’s national parks with a large-format camera, because only large-format photography would do justice to the grandeur of the parks. HD: What was your experience of publishing your book like? How has it been received? QTL: My goal was to offer the most comprehensive and useful photography book about the national parks. This called for a very substantial volume, with more pages, images, and words than any existing book on the subject. 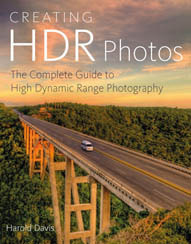 Photography books are expensive to print, especially at such a high level of quality. Although my project was quite known—for instance Ken Burns and Dayton Duncan featured me in their TV series about the national parks—no traditional publisher wanted to take on this project because it was too ambitious. I also wanted the synergy of combining an art book with a photography guidebook to encourage visits, and it was met with resistance – in retrospect, I realize the book industry is quite conservative. By the summer of 2015, no progress had been made, and I was desperate to get the book out in time to celebrate the Centennial of the National Park Service in the summer of 2016. Although it is my fourth book, Treasured Lands is the first book for which I was in total control and was involved in all aspects, including concept, writing, and design. On the other hand, it was also the first book for which I worked closely with a professional art director, Iain Morris, and his ideas improved considerably the book. I learned a lot about how books operate in the process. There was a lot of uncertainty attached to this publishing project. At one point, the publishing consultant I hired quit because he thought the project was too risky. So it was particularly gratifying that the book has become a critical and commercial success. Everybody I met who had seen the book was enthusiastic about it and told me they felt inspired. The book got excellent reviews, both from the press (including The New York Times, quite rare for a photography book) and from readers, with currently 95 reviews on Amazon. It won six national book awards out of seven entered. Barely more than a year after first publication, we released the third printing of Treasured Lands, just in time for the holidays. HD: What photographic gear do you use? QTL: I use both film and digital cameras. With film, I work exclusively with a wooden 5×7 large format camera. I bought it in 1995 from Keith Canham, a craftsman who assembles them by hand in Arizona, and I expect it to last for the rest of my life. Out of my seven lenses, my preferred one is the Schneider Super Symmar XL 110mm f/5.6, which has an angle of view equivalent to a 24mm lens. By contrast, in digital, I have been going through a bunch of different full-frame cameras since the early 2000s. Almost all digital photos in Treasured Lands were photographed with Canon cameras, but I am now using Sony equipment. I have a fairly standard set of zoom lenses, complemented with specialty lenses such as Tilt-Shift, fast lenses, and macro lenses. HD: How do you approach photography? QTL: Art is first created for oneself, then you invite people into your world. My photography is directly derived from my experiences in the world, often in special places. It helps me remember the personal story of my relationship with a place that has become personally meaningful to me. I try to evoke the feeling of being there, and reveal with truthfulness and clarity something that you’d miss if you just looked casually. I celebrate the richness, diversity and beauty found in the world, in the hope of inspiring viewers to explore for themselves, experience what I experienced, and eventually care for our planet. HD: What is your favorite place to photograph? What kinds of places do you like to photograph? QTL: Frankly, it’s difficult to say based on the merits of the places, because they are so different. However, If I was to pick a park, it would have to be be Yosemite, based on my personal relationship with the place. What makes it special to me is that it was the place that drew me to California, the first national park I had heard of and visited, and the time I have spent there on repeated visits. Although I’ve extensively photographed cities and cultures, I feel a particular connection and reverence for nature and the wilderness. However, I do not have a preference for a kind of place to photograph. I believe that if you look carefully enough you can find beauty and visual interest in all sorts of places, natural or man-made, that other people find banal. HD: I understand you have a doctorate in computer science, were born in France, and are of Vietnamese descent. You’ve been settled in the Bay area for quite a while as a professional photographer. This all sounds like an interesting life story. Could you tell me more? QTL: I was born in Paris and grew up as a city kid. Things changed when college friends took me to the high peaks of the Alps. I discovered for the first time the wilderness and made a connection with nature. I took up photography as a means to bring back the beauty of mountain tops to folks who could not get there. In the winter of 1993, I moved to Berkeley to work on the first self-driving car project in California. At that time, having just finished my PhD, I was looking for a short-term post-doc job in the U.S., and I didn’t know much about the geography of his country. Others climbers said Yosemite had good rocks to climb, so off all the great research universities, I chose Berkeley because it was the closest to Yosemite. HD: In this day and age with the political attempts to roll back protection for the national parks and wilderness generally, your book seems particularly relevant. How do you feel about what is going on in the world? QTL: On a larger time scale, I am cautiously optimistic that the “arc of the moral universe is long, but it bends toward justice”. If we care enough about our public lands, the current government policies, which are worrying in many ways, can be reversed after new elections. Being a father of two, I am a bit concerned with the younger generation absorption into virtual worlds, but on the other hand, environmental awareness seems to be increasing among them. The large national park visitation during the National Park Service Centennial last year has shown that people love the parks. People generally care for places for which they have developed a personal connection through a visit, so it is more important than ever to continue encouraging those visits, and that’s one of the goals of Treasured Lands. Other coffee-table books may inspire you, but leave you wondering about locations. For each image, Treasured Lands provides you the information to get there at the best time of the day or the year. Above all, I hope that my photographs will inspire you to visit the places for yourself, and if the experience has enriched your life, to speak out for our public lands. Click here to order Treasured Lands on Amazon. To learn more about QT Luong and his work, check out his website. It’s always fun to change things up and do new things, so from time to time on an ongoing basis I will be interviewing prominent photographers and folks involved with publishing on my blog. I’m pleased and honored to kick off this series with a discussion with photographer and well-known book producer Rick Smolan. Rick Smolan is a former Time, Life, and National Geographic photographer best known as the co-creator of the “Day in the Life” book series. Today, Smolan directs massive crowd sourced projects which combine creative storytelling with state-of-the-art technology. Many of his books have appeared on the New York Times best-seller lists and his projects have been featured on the covers of dozens of publications around the globe including Fortune, Time, GEO and Stern. The primary focus of my discussion with Rick Smolan relates to his recent Kickstarter funded book project, Inside Tracks. HD: Tell me about Inside Tracks. RS: Inside Tracks is the extraordinary story of Robyn Davidson, a twenty-seven-year-old Australian woman who set off to cross the desolate outback, accompanied only by four camels and a dog. It was a trip that began as a pure and (many said) lunatic gesture of independence and quickly turned into an all-out battle of wits against the forces of both nature and civilization. Cocky and outspoken, Robyn Davidson’s tale is at once the probing journal of a daring and stubborn woman and a wilderness adventure of the most exhilarating sort. It’s also the subject of a stunning new feature film called Tracks from the Oscar winning team behind “The Kings Speech”. HD: What did you have to do with Robyn’s story? HD: This sounds like a great story. But why revisit it now? RS: Of all the assignments I shot as a freelance photographer, Robyn’s timeless story has always been the one that seemed to touch people the most deeply. It’s a love story, a dog story, and an epic adventure. The that fact that it has now been turned into a much-loved movie makes it a great time to revisit the original journey and feature images never seen before. Inside Tracks is also quite unique in that it’s one of the first smartphone-enabled coffee table books and combines images from the original story together with images from the movie. HD: I’d like to get back to the interesting and exciting extended features of your book in a moment. First, please tell me a bit more about the film. RS: When Robyn and her caravan reached their destination nine months and 2000 miles of outback later, their arrival marked the end of a true odyssey, an unforgettable journey and now an extraordinary film, In the movie, Robyn is portrayed by Mia Wasikowska (from Alice in Wonderland) and I’m (gulp!) played by Adam Driver (in HBO’s series Girls). Mia Wasikowska and Adam Driver are two of the fastest rising young movie stars. Mia was nominated for her role in TRACKS as Best Actress at the recent Gotham Awards, and Adam will appear in the next Star Wars film. The filmmakers were incredibly meticulous in casting all the actors to look like the original people (not only Robyn and me, but her father, the aboriginal elder she traveled with, and so on) — they even manufactured clothes to match the ones people wore in my photos. In fact, they built many of the sets based on my still photos and the side-by-side comparisons are fascinating. HD: This must be very exciting for you. RS: It’s great to have a major movie built around a story I played a role in, and yes, it is a real kick to be played by a major movie star. I think I know how Mark Zuckerberg must feel, minus the ten billion dollars part! HD: How does your life today compare with the life you were leading when you created the images shown in Inside Tracks? RS: My life is completely different. When I documented Robyn’s journey, photojournalists were sent out on assignments that sometimes lasted months. I traveled with Robyn for three months during her nine month trip. Today that kind of in-depth coverage is very rare. I was also 28 years old and single at the time, living in hotels 11 months of the year. I was footloose and fancy free. Today I have two wonderful kids (12 and 14) and a brilliant wife plus two dogs and two cats. I travel about half as much as I’d like to and twice as much as my family wants me to! HD: Do you miss the Australian outback? Would you go back? Do you enjoy wilderness experiences? RS: I loved the outback. The quiet, the clarity of the light, the lack of light pollution so you could see stars was unlike anything I’ve ever seen anywhere else. I did go back during the shooting of the movie and it hadn’t changed at all. Just magical! HD: If you could do this story over again, what would you do differently? RS: I wish I had bought a movie camera back then, but was worried I’d be shooting movie footage just when I should have been shooting stills. I didn’t want to risk being distracted. Now I so wish I had shot movie footage anyway. HD: How does Robyn’s take on this adventure in her book Tracks differ from yours, or are they the same? Same question for the movie, or are there substantive differences? RS: We compared our very different memories of the trip in this wonderful video produced by Emmy Award winning director Brian Storm. Actually, since human memory can be so malleable, one of our biggest fears is that the movie version of events will begin to change the way both of us remember the actual journey. HD: You mentioned earlier in this interview that your book has some unusual features. Please tell me more. HD: I understand that you self-published Inside Tracks via a Kickstarter campaign, even though I’m sure you could have found a conventional publisher to work with. What’s the thinking behind your decision? How do you feel it has turned out? RS: Even though over the years conventional publishers have sold more than five million copies of my books, I decided to self-publish Inside Tracks via Kickstarter because, despite my track record, no publisher would commit to the size, the heavy matt paper, and to the 6-color printing plus spot varnish that I felt Robyn’s story deserved. The good news is that Inside Tracks has already sold over 11,000 copies, which probably makes Inside Tracks the best-selling Kickstarter coffee table book to date. HD: Do you have any advice for someone contemplating a Kickstarter, or a self-publishing venture? RS: Yes, I’m now convinced it’s the only way to go. You have a direct relationship with every backer (unlike when you work with a publisher), and you make much more per book, so you can make the book much more affordable. When a $45 book is sold through a publisher you might make $2. When you sell that same book for $22.50 directly you make $10. So you make as much selling 1,000 copies via Kickstarter at half the price as you would selling 5,000 via a publisher at full retail. Also with a publisher, you need to guess eight months in advance how many copies you “think” will sell, and if you are wrong, you end up with a warehouse full of unsold copies. With Kickstarter, you only print the number of copies that your backers paid for, so there is minimal risk. 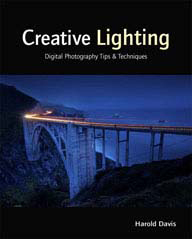 I think most photography books in the future will be crowd funded. HD: What projects are you involved in now, and what are your plans for the future? RS: My younger brother Sandy and I are just finishing a one hour TV documentary based on our Human Face of Big Data project and I’m working on a dramatic TV series based on Robert Heinlein’s classic science fiction novel “Tunnel in the Sky” (which I own the rights to). HD: Thanks Rick, it is been really interesting finding out what you’re up to! If someone wants a copy of Inside Tracks, where is the best place to get one? RS: Your readers can buy Inside Tracks from Amazon.com using this link. And, thank you.